It has been a while since I’ve made a new zine, but in the weeks before Other Worlds I took up the glue stick and put together the zine that Chiara (of Rhetorical zine) and I have been putting together since the start of the year. It’s about our favourite band, Throwing Muses. The Muses and zines brought us together, so we decided we’d bring everything together and make a fanzine. 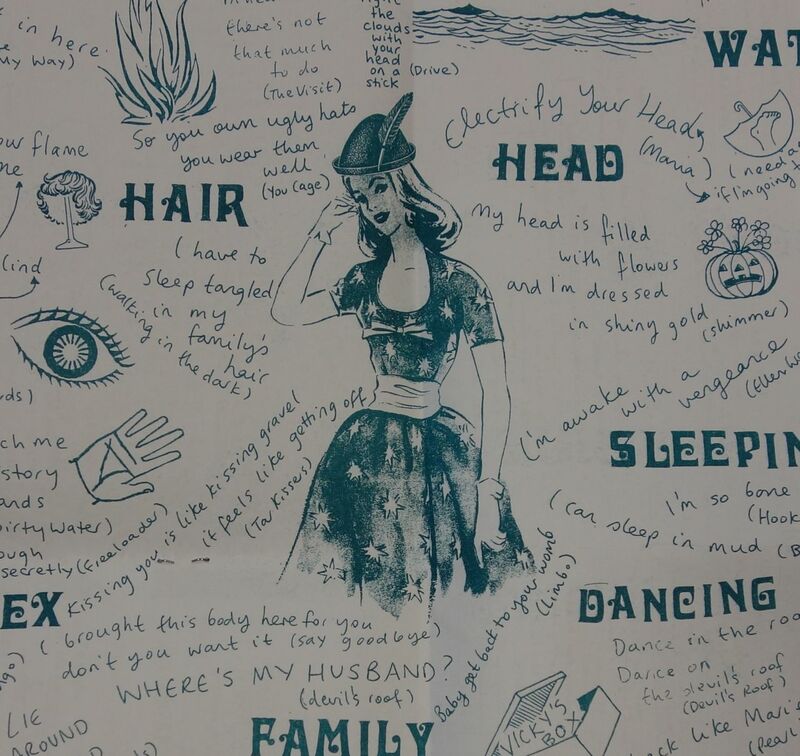 We made much of the zine over one weekend and some of the stories in it relate to our various Muses themed adventures: beaches, wigs, lolly shops, summer rain and a party full of people with elaborate headwear. The majority of the zine is stories about the band, from how we encountered them to stories about particular songs and seeing the band live in exotic places like Glasgow and Portland. We also made a map of Muses song themes, for which we paid studious attention to every album, took notes, made charts, and drank red ice tea. 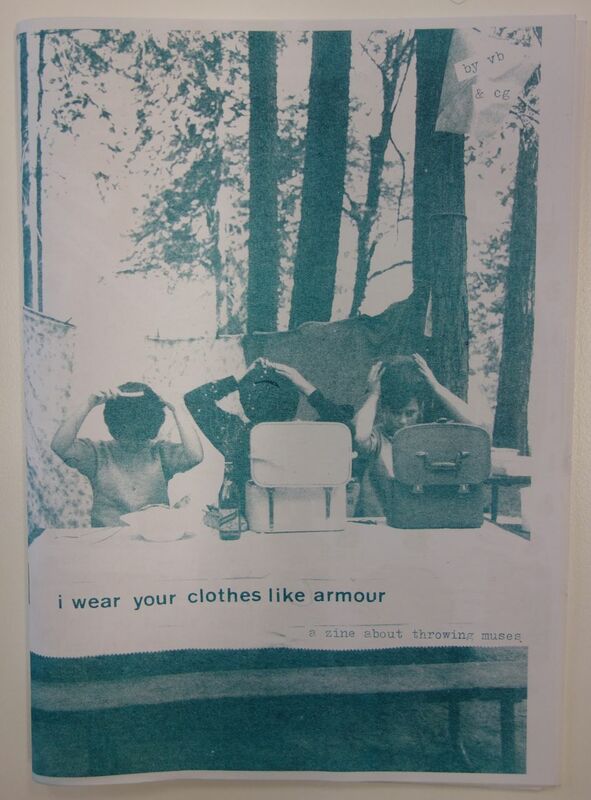 The zine is available on Etsy here and from Take Care zine distro.